Well, it's that time again - Irish dancing dress making time! The little miss still hasn't grown out of her first dancing dress, but she's had it for a year now and I've outgrown it. I'm ready to watch her in something new, and I've also been itching to turn the dress in my head into something real. I really enjoy making Irish dancing dresses. I like thinking up new designs and then working out how to make them into real dresses. I've made a few for sale in between the little miss' first and new dresses. These have given me to opportunity to try out new styles and work on sizing a bit. 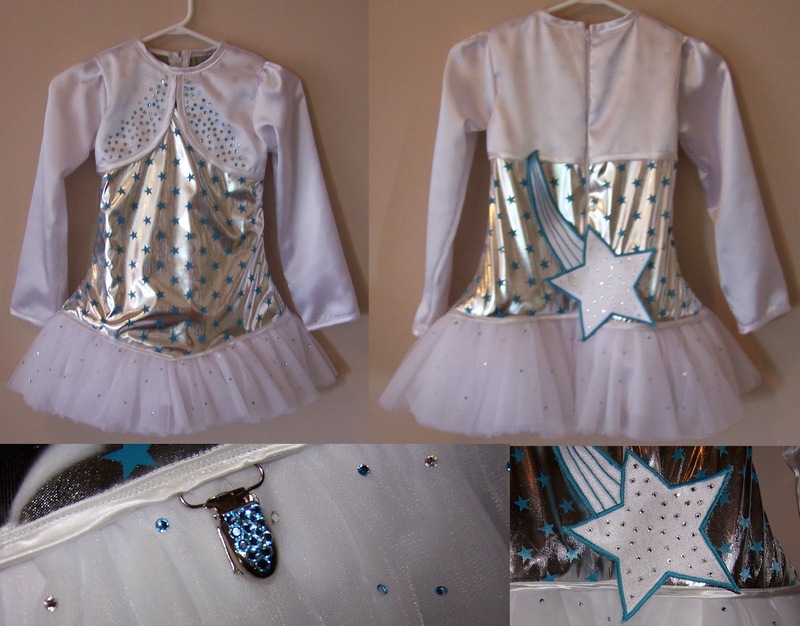 It's also given a few of the beginner dancers the opportunity to have a brand new, up to date dress at an affordable price. In our house, green is the new pink. I can't tell you how happy I am about this!!! The little miss is slightly obsessed with all things Irish at the moment, and green has now bumped pink right off the top of the favourite colours list. I was thrilled to be able to make her a green dress and it will look beautiful on her with her gorgeous ginger hair. She is also very much into the more traditional style Irish dancing dresses (which I love), and I've noticed lately that more of the high end Irish dancing dress designers are starting to make more dresses incorporating old school elements into new style dresses. I've always loved the celtic embroidery on the old dresses, but figured I'd never be able to have any on the dresses I make because I don't have an embroidery machine. I started looking at ready made celtic embroidery patches that I could sew onto a dress and found a few that I liked (and even planned imaginary dresses around) but there was always something not quite right... So I came up with the crazy idea of hand embroidering the next dress. Crazy, I know. The little miss and I picked out some twinkle satin in green and white and I started by cutting all of the dress pieces out of it. I then did a lattice satin stitch over all of the white top pieces - because I love the look of the lattice stitched tops and I thought the addition of green on the white would brighten it up and help to stop the little miss looking like a ghost in her new dress... I then took my front skirt piece and started on the embroidery. Disclaimer: I actually wrote this post ages ago, but I'm a terrible blogger and forgot to actually publish it. The green dress is now done, and absolutely gorgeous if I do say so myself! I promise I will try to get a post up about it soon. * the next post on this dress can be found here.